While safety and security should be a priority all year round, you should pay even closer attention to these matters during the holidays. Seasonal promotions and events can send larger than usual crowds to your store. And while that can be a good thing for sales, it can also leave you vulnerable to theft and fraud, or worse — put your employees and customers in harm’s way. But don’t worry — by taking the proper steps, you can minimize or even completely avoid any security and safety issues this holiday season. Start with the five best practices below. In addition to your year-round health and safety policies, take extra time to review and implement holiday-specific precautions. According to Gary Johnson, Senior Consultant at Prevention Advisors, health and safety “become more magnified during the holiday season” because of the additional crowds. Remember, you’ll have more shoppers with children and more shoppers with backpacks, and this can open up both security and safety concerns. Think about how you can address these issues before the rush begins. Johnson also brought up holiday decorations. If you’re adding Christmas lights, for example, you want to make sure the cords don’t cross over walkways. Or if you’re setting up a Christmas tree, you should see to it that it’s installed correctly, so it doesn’t fall over. Planning for crowds will be so much easier when you have a visual aid. If you haven’t done so yet, create a store map and use it identify entrances, exits, and other important spaces. Doing so will also help you plan how to manage traffic flow, where to place fixtures and equipment, and where to position your staff. Take note of your store’s maximum occupancy and ensure that you stay within its limits. Some retailers have found success by implementing staggered entry during busy shopping events. These stores would only allow a certain number of people in the store (e.g. 25 a time) to ensure that the space doesn’t get too crowded. Even the best-laid plans run into challenges. Contingency plans should be created for the “what if” situations that could arise, including larger-than-anticipated crowds, inclement weather, power outages, large lines of angry customers, trampling, shooting and merchandise sell-outs. Business continuity and emergency preparedness plans give associates a foundation upon which they can handle unexpected situations. Contingency plans can also include alternative entry/exit points for customers, celebrity guests, associates, and security/law enforcement. Once you have an idea of how to control in-store traffic, see to it that you have all the materials to help you carry out your plans. Depending on what you’re implementing, these could include signage, stanchion ropes, wristbands, surveillance tools, etc. Do you have enough people in your team to handle the rush? If not, you may want to start hiring seasonal employees. 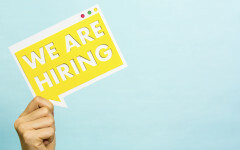 The roles for which to hire will depend on your company. Some retailers may need to bring in additional cashiers, while other stores may require additional security personnel as well. Screen potential hires thoroughly. In addition to the usual application and interview process, conduct background checks on potential hires — especially if they’re going to handle sensitive information. Most modern point-of-sale systems allow you to set user permissions to enable or restrict staff members from doing certain tasks. Check with your POS solution provider and see how you can update permissions in your store. Review your user permissions to make sure you know exactly what your staff can see and do with your POS. Pay extra attention to those who can process voided sales, as this is a very easy way to steal stock. 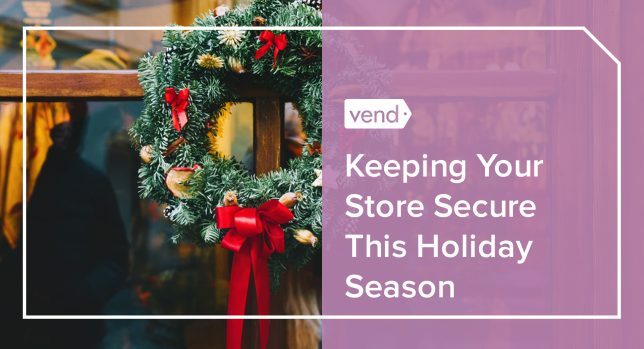 Vend can give you that much-needed confidence through the holiday season! Check out Advanced User Permissions on our Advanced and Multi-Outlet plans, which can give you even more control over what your employees can see and do in Vend. When an employee feels like he/she is not paid enough, or is over-worked, or the job is beneath their level of skills, they empower themselves with an attitude of ‘I deserve this, for whatever it is they plan to steal, he wrote. The temporary nature, and relatively lower compensation compared to full-time positions fuels some of these employees’ belief that “taking this one thing won’t really matter and, I’m gone in a few weeks anyway.” In employee screening interviews, we have had workers admit to this mindset. It is especially prevalent during the holiday season as these workers are also laying out a lot of money for gifts, so picking one up for free, even if illegal, helps with their financial burden. So, how can you ensure that your employees, even the seasonal ones, remain engaged? You can start with proper training. Arm them with the knowledge they need to do their jobs well and make sure your educational resources are accessible. You should also consider pairing temps with seasoned employees to quickly get them up to speed and integrate them into your company. Finally, offer incentives. Depending on your business and budget, such perks could include bonuses, swag, or the opportunity for full-time work. Need more staffing tips and insights? 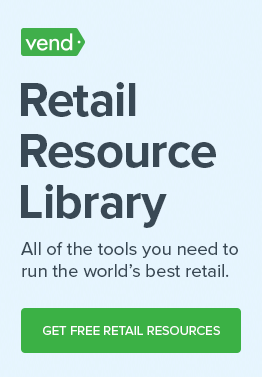 Check out The Ultimate Guide to Training and Motivating Retail Employees, an in-depth resource packed with actionable takeaways for motivating employees and boosting staff productivity. Doing regular inventory counts not only helps you stay on top of your stock , but it also reduces theft and shrinkage. Strive to physically count your inventory on a regular basis, so you always have a handle on what you have on hand. Understandably, it can be difficult to conduct full inventory counts often, so if this is an issue, consider cycle counting or partial stock takes instead. Such inventory counting methods only require you to count certain portions of inventory on a daily or weekly basis, so you won’t have to do full inventory counts. Your retail tech stack (i.e. POS, payment terminals, readers, scanners), as well as any loss prevention tools you may have must be all up-to-date for the holidays. Get in touch with your hardware and technology vendors and talk to them about any relevant updates. Needless to say, if your equipment isn’t up to snuff, take immediate steps to address the issues. Same goes for your software. Don’t ignore those update prompts you get from your apps. The newest version of an app or solution contains the most updated features and security measures, so it’s less vulnerable to hacks and breaches. And while you’re at it, uninstall programs or plugins you’re no longer using. All programs have vulnerabilities, so fewer apps mean less risk of attacks. Go through all the programs installed on your computer and mobile devices, and remove the ones you’re no longer using. Inspect your POS equipment, credit card terminals, and PIN-entry devices for any signs of tampering. Such signs may include broken seals, missing screws, extraneous wiring, or additional labels that might hide indications that the device has been altered. You should also check each device’s USB or network port. If you see anything plugged into them that isn’t supposed to be there, report it immediately. Make sure your checkout area is secure. Keep valuable information away from prying eyes by positioning your POS, card terminals, and screens for maximum privacy. Make use of secure shelves, stands, and security cables to prevent unauthorized removal. Mount your PIN pads securely on the counter, and utilize locking stands to protect your equipment. In addition to beefing up your physical POS space and equipment, ensure that your network is just as secure. One important thing to do is to run your POS system on a network separate from your guest Wi-Fi. You also want to make sure you encrypt network data, so traffic and activities aren’t visible to anyone else. 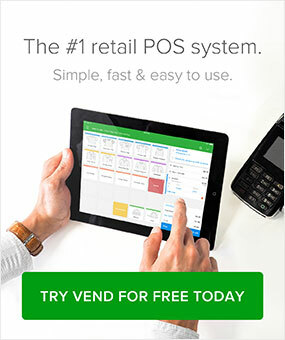 If you need more info on different point of sale solutions, download Vend’s POS Buyer’s Guide. In this resource, you will learn the 7 secrets to find a reliable POS system, and avoid the costly mistakes most retailers make when choosing a new retail platform. We’d also love to hear from you! Are you doing anything extra this holiday season to prevent loss and safety issues? Share them in the comments. It’s really good to invest in spy cams and anti-theft measures especially this holiday season. People are everywhere rushing to shop and you will not be able to watch over all the time. Good tip, PJ. Cameras and other surveillance tools can certainly come in handy during the holidays. Retailers just need to be aware of the surveillance laws in their area. Thanks so much for weighing in! You saved my holiday by doing this. Thank you for sharing. PRAGATI UDYOG was incorporated in December, 2006 and has soon established itself as a leading importer of Heavy Melting Scrap (HMS), Cast Iron Scrap & various grades of Aluminium Scrap.